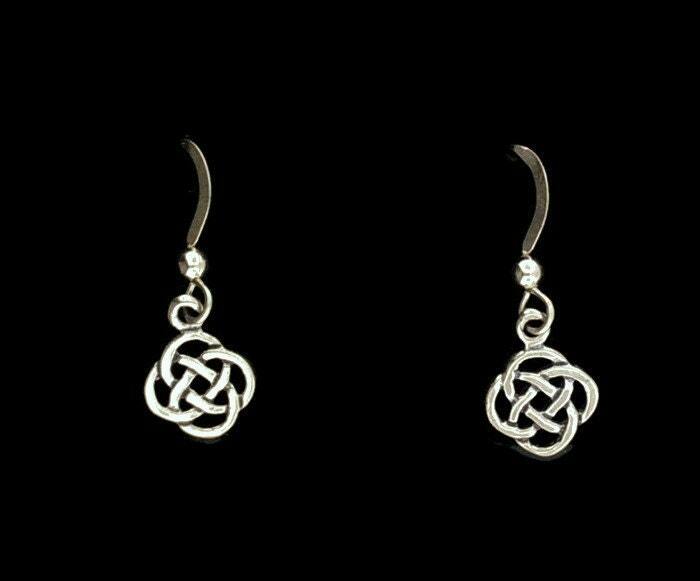 These are a pair of handmade small endless knotwork earrings made in sterling silver. They measure 10mm wide and hang from sterling silver ear hooks. Simple and delicate, they are perfect for every day wear. A very traditonal style of earrings, they are also featured in a bracelet I make.